Wikipedia co-founder defends shut down Jump to media player Wikipedia's founder, Jimmy Wales, says he agrees with protecting copyrighted content but not with the way it is being done. "I'm a Wikipedian" Jump to media player Richard Symonds, one of Britain's top Wikipedia contributors, explains why he finds updating the online encyclopaedia so addictive. 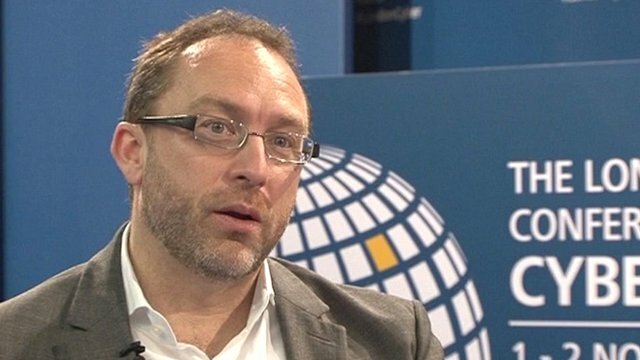 'We can easily wreck the internet' Jump to media player Wikipedia founder Jimmy Wales talks to the BBC's Rory Cellan-Jones about the future direction of the internet. 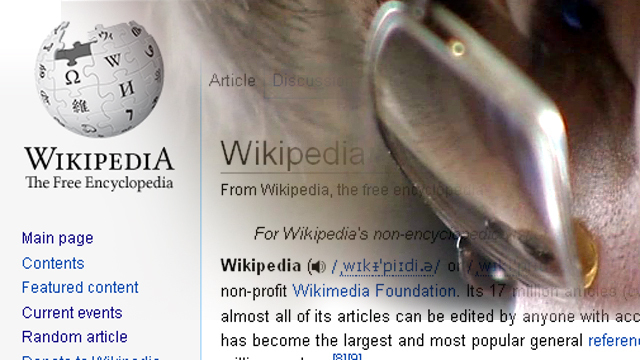 The English version of the Wikipedia website will be shut down for 24 hours in protest at new laws being proposed in America to stop online piracy. Both the Senate and the House of Representatives are considering bills that would allow the US authorities to seek to block sites that allow illegal file sharing. 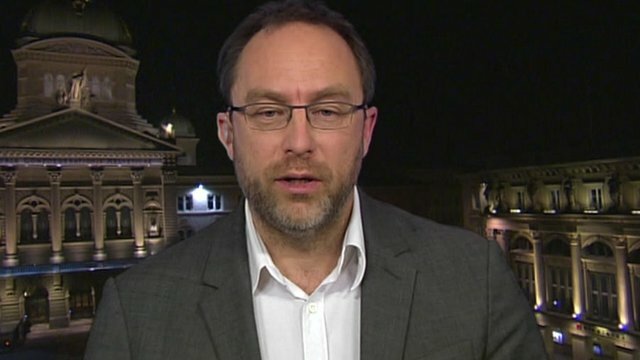 Wikipedia's founder, Jimmy Wales, told Newsnight he agrees with protecting copyrighted content but not with the way it is being done. But Michael O'Leary of the Motion Picture Association of America said that Wikipedia's 24-hour blackout was a "cute gimmick". Go to next video: "I'm a Wikipedian"